Wow! Almost a metallic look. Beautiful. Congratulations on your top 20 finish. Extraordinary tones and textures. I usually find that patterned images are more striking with a central point of focus to interrupt the pattern, but this one is so nicely done that it stands alone very well. this is great, i like the colours and shapes. top 10 for sure! Almost metallic looking. Nice shot. Interesting image. How about bumping up saturation to give some more color? I like this shot. I think it would be better with more reflections because of the contrast between the brown sand and the blue sky. I like the silvery cast to it with that touch of blue. 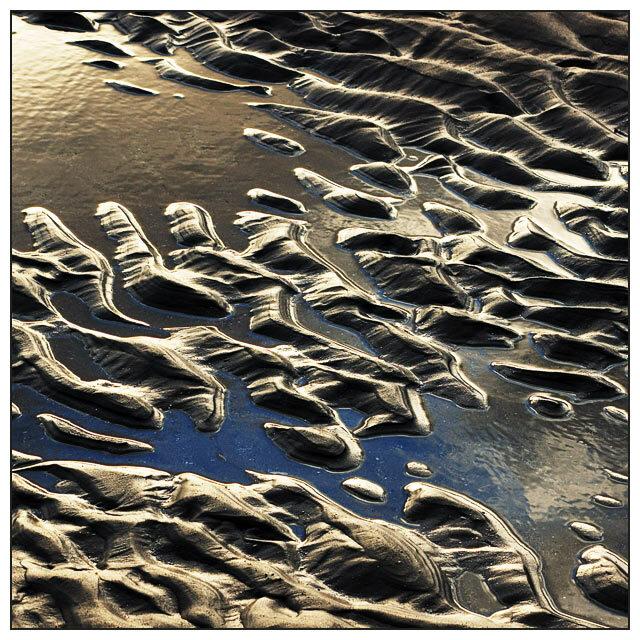 Sand and water make some really fun shapes and you captured a nice image of some of them. If it had a single bird, or starfish or shell to add one addition touch, that would really make it for me. Cool, love the metalic field to this. One of my favourites! I could be totally mistaken but this has an overprocessed look to it, to me. Still, visually it's very striking and i love the light. 7. Nice image and colour changes. Good pic! i thought about this as an idea for this challenge. very good job making all these little dunes come to life. Proudly hosted by Sargasso Networks. Current Server Time: 04/23/2019 01:54:44 AM EDT.